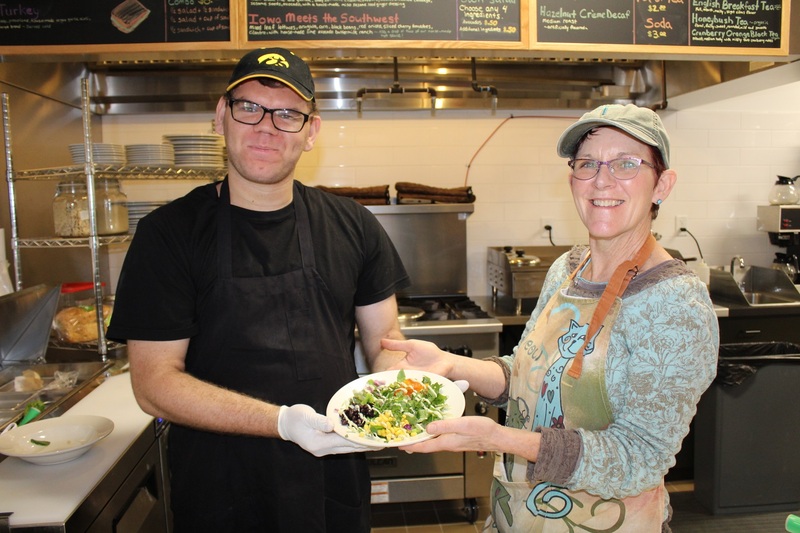 The Groundswell Cafe is successful in large part because of great volunteers. Volunteers help with serving food, hospitality, busing tables, washing dishes and more. If you are interested in volunteering either as an individual or a group, click the link below to sign-up. We primarily need volunteers M-F between 11:00 AM – 1:00 PM. If you’d like to work longer or different hours, please select the “Other” slot and tell us what time you’re available between 7:00 AM – 4:00 PM. Attire is long pants, closed toed shoes, and a cap or bandana. While we will try to honor your wishes for the way you would like to volunteer, we ask that you be flexible and help out wherever needed when you show up, as our needs change daily. If you are not comfortable working in the fast pace of a restaurant, we always have prep that needs to be done in the prep kitchen.